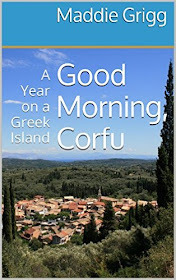 This week, in the build-up to Greek Easter and the release of my new book, Good Morning, Corfu: A Year on a Greek Island, I will be republishing some posts written during the twelve months that I lived in a rural village in North West Corfu. 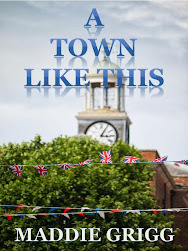 The book is now available to order as an ebook on Kindle and also as a paperback. 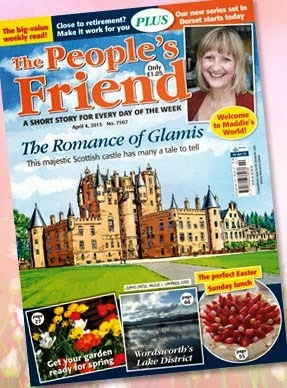 I'll be doing a signing in Corfu on Greek Easter Monday and also in Bridport in May. Good Morning, Corfu: A Year on a Greek Island charts the spell woven by this Greek island on an English couple for whom the past is in danger of being more exciting than the future. In an honest, affectionate and warm account of a grown-up gap year, UK magazine columnist Maddie Grigg introduces the reader to a cast of real-life characters and the rich history of Corfu’s traditions, and reveals what happens when the holidaymakers have gone home. Who wouldn't want to throw in the day-job and head off to the sun for a year? Just like the Durrells, Maddie Grigg and her husband abandoned rainy Dorset for a new adventure on the Greek island of Corfu.